Honor 8A Pro Launched with Helio P35, Fingerprint Scanner Launched in Russia - Playfuldroid! In January, Honor had launched the Honor Play 8A smartphone. 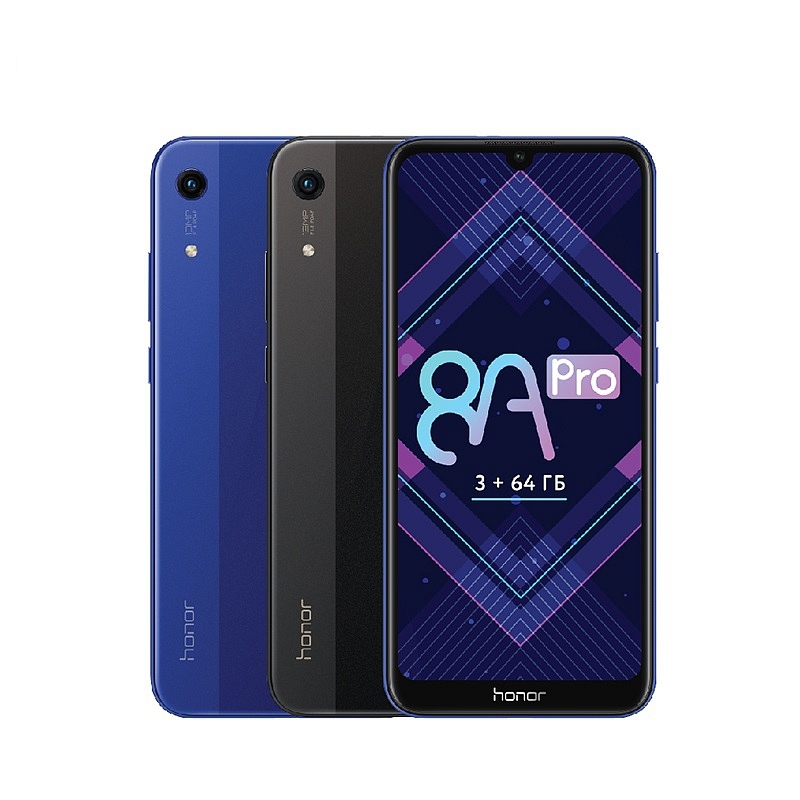 In Russia, the same phone has been introduced as Honor 8A Pro. What sets the phone apart from the Honor Play 8A is the presence of a rear-mounted fingerprint reader. The Honor 8A Pro comes with a 6.01-inch IPS LCD panel that offers HD+ resolution of 720 x 1560 pixels. The waterdrop notched display offers 19.5:9 aspect ratio. The TUV Rheinland certified display safeguards the eyes of the users from issues like fatigue and harmful blue rays. It offers a screen-to-body ratio of 87 percent. The Helio P35 SoC is present under the hood of the device along with 3 GB of RAM. The native storage of the phone is 64 GB. It comes with a dedicated slot for adding a microSD card. The handset includes a 3,020mAh battery. The rear side of the Honor 8A Pro features a 13-megapixel camera with f/1.8 aperture. For capturing selfies, it is equipped with a front camera of 5-megapixel. The Android 9 Pie OS with EMUI skin comes loaded on the device. Apart from fingerprint reader, the Honor 8A Pro is equipped with face unlock security feature. The handset comes in two color options such as Black and Blue. It carries a price tag of 13,990 Rubles ($218). The smartphone is yet to go on sale in the country. There is no word on whether the Honor 8A Pro will be made available in wider markets.